Windows 8.1 isn’t the only nifty trick Microsoft has up its sleeve this week. On the eve of the Build 2013 conference, a gaggle of journalists descended on the Moscone Center in San Francisco, invited by Microsoft to get a sneak peek at the flood of changes coming in the Windows 8.1 Developer Preview that everyone will be able to try later on Wednesday. Tucked in among the hours of talk about new apps and new features was a segment devoted to Windows 8.1’s productivity chops; and tucked into that was an all-too-brief look at another Microsoft gem. Yes, I’m talking about modern-style Office apps. Harris opened the modern UI PowerPoint app from the Windows 8.1 Start screen, and then opened a SkyDrive-stored presentation. No UI elements were shown, but the brief presentation ran just fine. Update: Microsoft also showed off the presentation at its Build keynote. 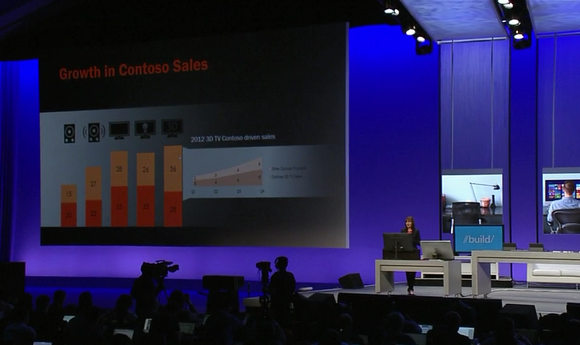 Windows co-chief Julie Larson-Green showing off the modern PowerPoint alpha demo at Build. Sadly, the entire exchange lasted barely a minute, and we weren’t able to go hands-on with modern PowerPoint. But Microsoft played the modern Office card more to prove a point more than to show off PowerPoint in particular. Microsoft’s core message of the evening is that Windows 8 is a flexible OS with deeply interwoven apps and capabilities—and the unveiling of the alpha version of modern Office apps played right into that. The absence of modern-style Office apps is often cited as a glaring hole in Microsoft’s Windows 8 strategy. Office and Windows go together like PB&J, and with Windows 8 jumping into a world of touchscreens and tablets, the lack of a finger-friendly Office suite sticks out like a sore thumb. Soon, that hole will be filled. When, we don’t exactly know for sure. 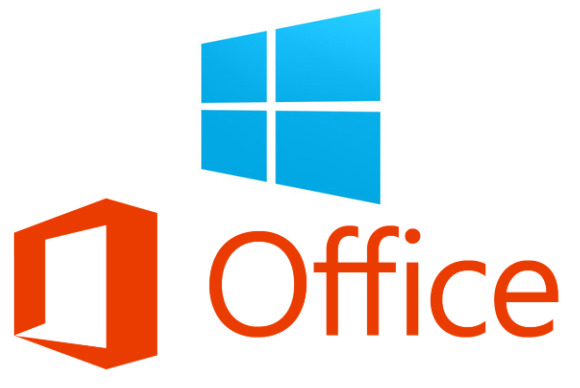 Earlier whispers about “Office Gemini”—the reported code name for the project to build modern Office apps—pegged the release date as sometime this fall, with Office 365 subscribers allegedly gaining access to the modern Office apps as part of their yearly fee. Multiple reports also indicate that Microsoft is cutting manufacturers a steep break on licensing fees to include Office on touchscreen Windows devices under 10.6-inches in size. The Acer Iconia W3—the first 8-inch Windows slate on the market—indeed includes Office Home & Student. It’s easy to envision Microsoft bundling modern Office apps with small-screen tablets to try and drive up demand, though Microsoft refuses to confirm whether it’s offering Office license discounts to manufacturers. With PowerPoint and the other modern Office apps still in an alpha state, the thought of hitting release status in just a few months seems …ambitious. But no matter when modern Office apps come barreling down the pipeline, they will be very welcome indeed by people who have bought into the Windows touchy-feely tablet vision. Better late than never, after all. PCWorld Senior Editor Mark Hachman contributed to this report.